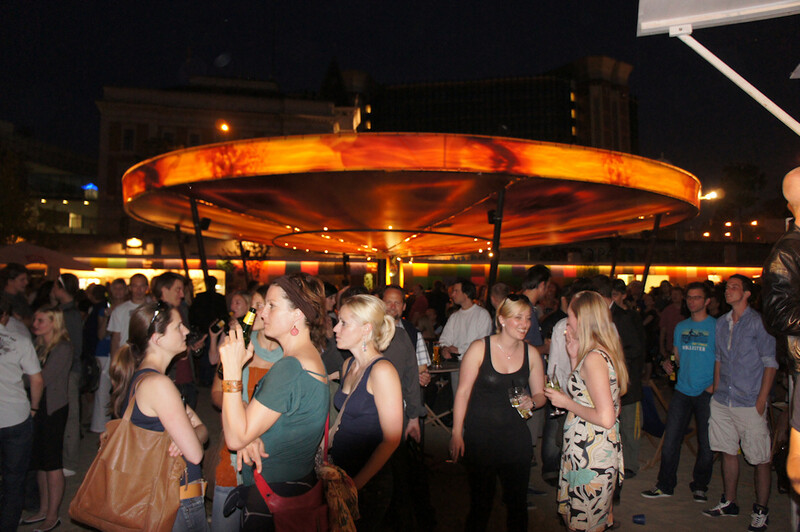 Experience the feeling of a summer vacation in the middle of Vienna, plus Beach Bar Herrmann turning into a catwalk for one evening. Hi, leaving the stress and everything behind is one of the positive effects when going on vacation. 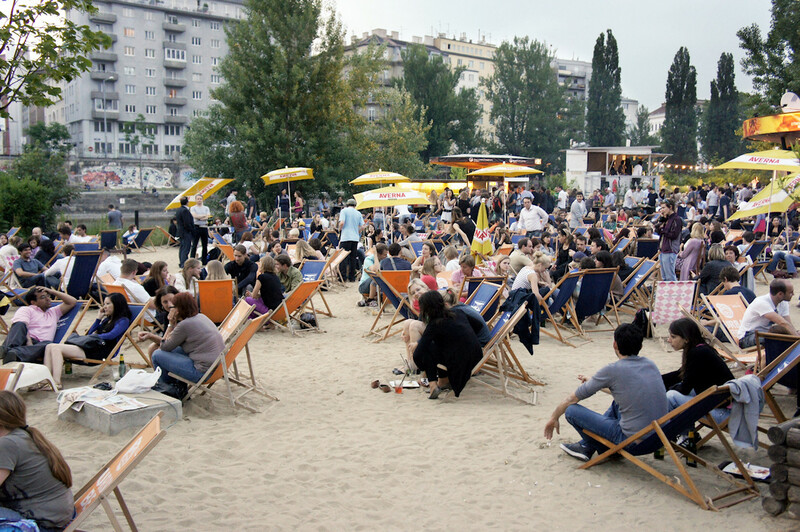 Beach Bar (Strandbar) Herrmann is an open-air bar at the Danube Canal in Vienna, which tries to emulate the feeling of being on a summer vacation. 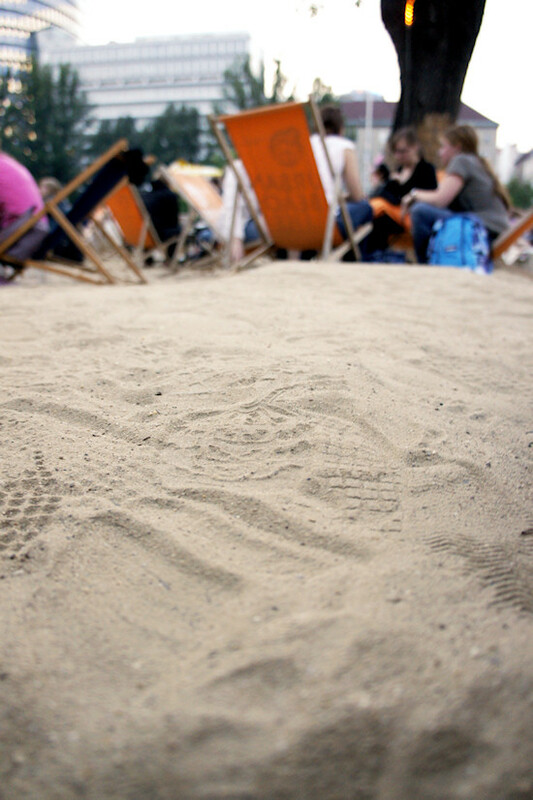 Located near Urania and Aspern Bridge alongside the regulated Danube Canal, it already has its waterfront and for some years now the ground of Herrmann Park is also covered with real sand, which contributes to the beach-like atmosphere. The Danube Canal is unfortunately not suited for swimming, but you can take a sun bath in one of the relaxing canvas chairs while slurping a cocktail and on Sundays there are also Yoga lessons on the "beach". In May the beach bar turned into a fashion catwalk for one evening, which was also advertised as a side event of Modepalast, an annual fashion trade fair in Vienna. 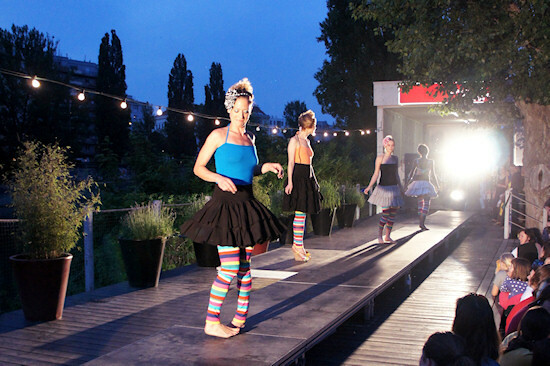 Four local labels from Vienna presented their summer collections: mostly practical, cheerful pieces with stripes, colors and dots here and there. Actually, the four labels complemented each other so well, that it was hard for me to distinguish their designs in the end. 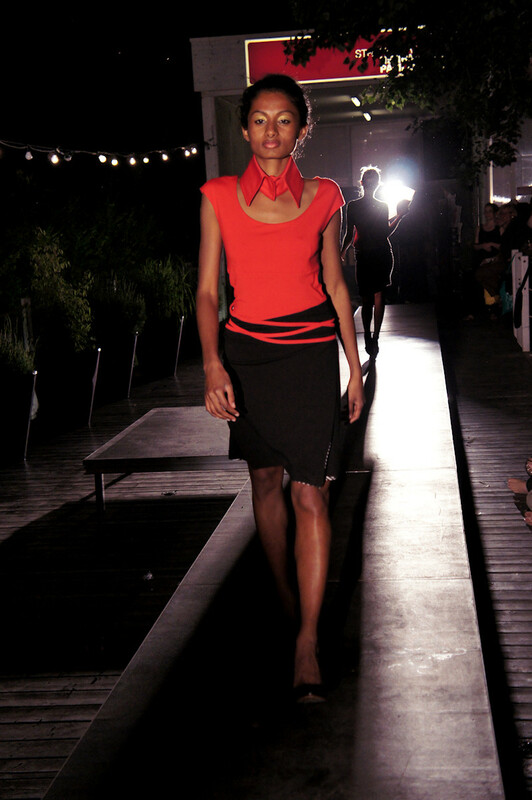 But this is also a good basis for collaboration between the labels. 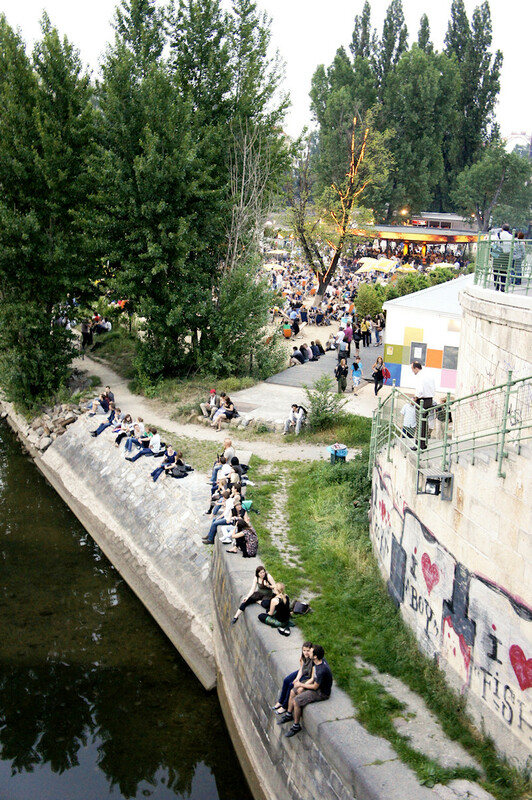 Here you can see the Danube Canal, Herrmann Park and Pavilion. This place reminds me of both Central Park and China. 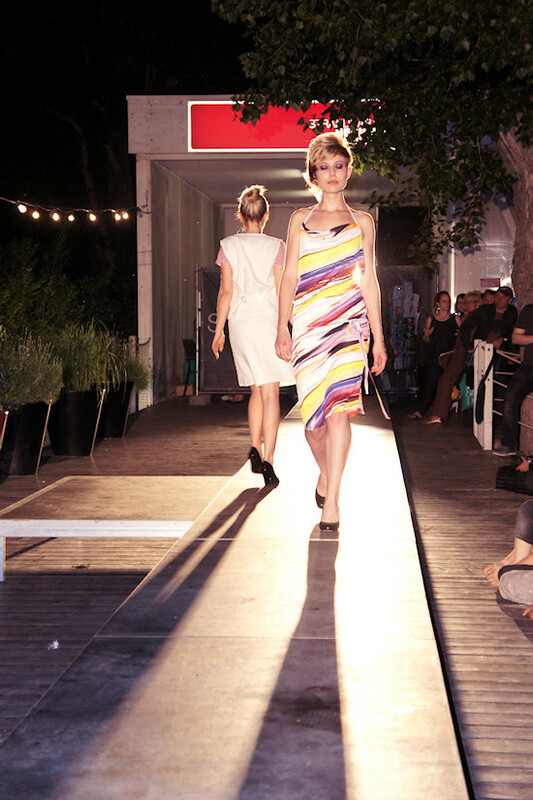 I love the setting of the catwalk, and I hope you enjoyed the beach in the middle of Vienna!